The Committee on World Food Security (CFS) is an inclusive international and intergovernmental platform for all stakeholders to work together in a coordinated way to ensure food security and nutrition for all. 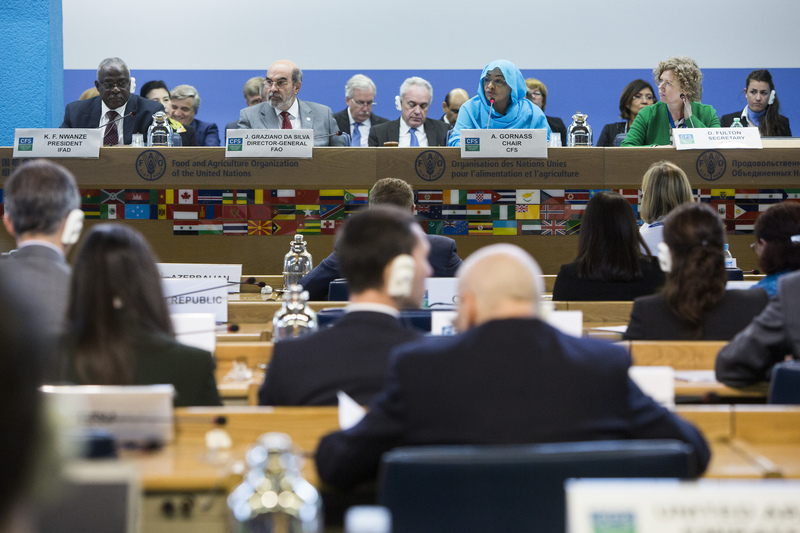 At the 42nd session of the CFS (CFS42 2015), all CFS constituencies confirmed their support for CFS to play an important role in advancing nutrition within its mandate, in line with the 2030 Agenda for Sustainable Development, adding value to ongoing work and fostering synergy. The 2030 Agenda and ICN2 commitments provide CFS with an opportunity to work more effectively together to support national and regional efforts as appropriate and enhance international cooperation and development assistance to accelerate progress in addressing malnutrition. The High Level Panel of Experts on Food Security and Nutrition (HLPE) was established in 2010 as the science-policy interface of the CFS. The HLPE aims to improve the robustness of policy making by providing independent evidence based analysis and advice at the request of the CFS. CFS holds an annual Plenary session every October in FAO, Rome and reports to the UN General Assembly through the Economic and Social Council (ECOSOC) and to FAO Conference. In 2016, an Open-Ended Working Group (OEWG) on nutrition was formed to consider the suggestions made for CFS during CFS42. These suggestions include proactively mainstreaming nutrition into all CFS work including HLPE reports, involving more organisations with a mandate on nutrition in the CFS Advisory Group and incorporating the Rome Declaration on Nutrition and its Framework for Action into future CFS work. Funding for coverage of the OEWG meetings is provided by CFS to the International Institute for Sustainable Development (IISD) Reporting Services. IISD Reporting Services are publishing briefing notes following each session of the Open-Ended Working Group (OEWG) Meetings on Nutrition.